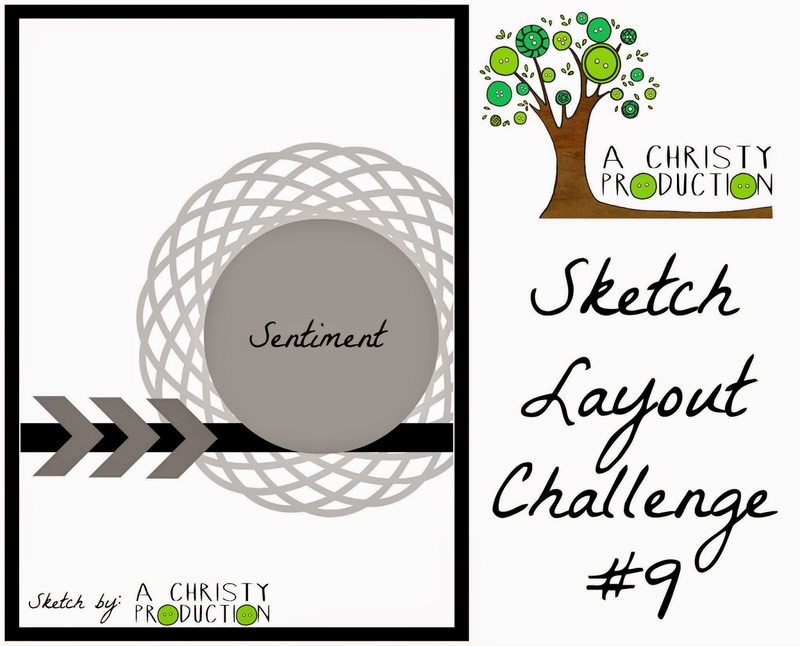 Thanks again to A Christy Production for supplying the sketch layout for this month's challenge. Here is it! Cute isn't it?? I'm loving Strawberry Slush at the moment so I decided to use that, along with some Daffodil Delight and Quatrefancy DSP. I folded 8" x 5-7/8" Whisper White card stock in half. Cut 3-7/8" x 5-5/8" piece of Strawberry Slush card stock. 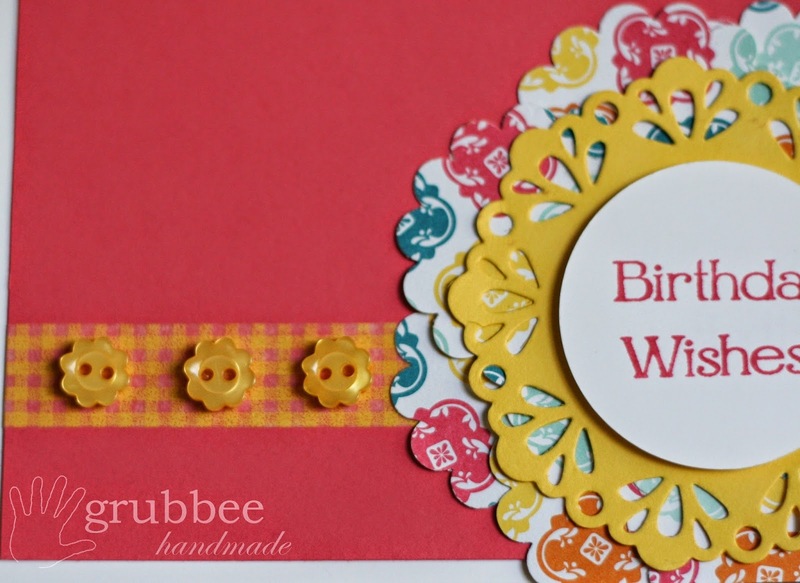 Taped a piece of Daffodil Delight Washi tape (from the Gingham Garden collection) and attached it before sticking the Strawberry Slush card to the Whisper White. 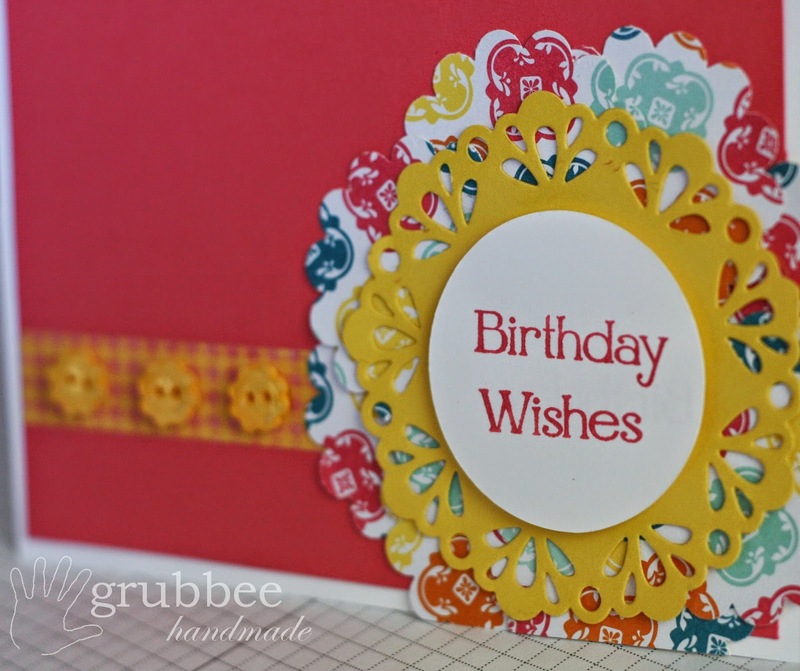 I used the Big Shot and the Delicate Doilies Sizzlit die to make the daffodil delight doily. Then I punched 8 scallops (1-3/4") from the Quatrefancy Specialty DSP and positioned them in a circular shape behind the doily. This was much harder than I thought it would be and took me quite some time to get them right. They're still not perfect. 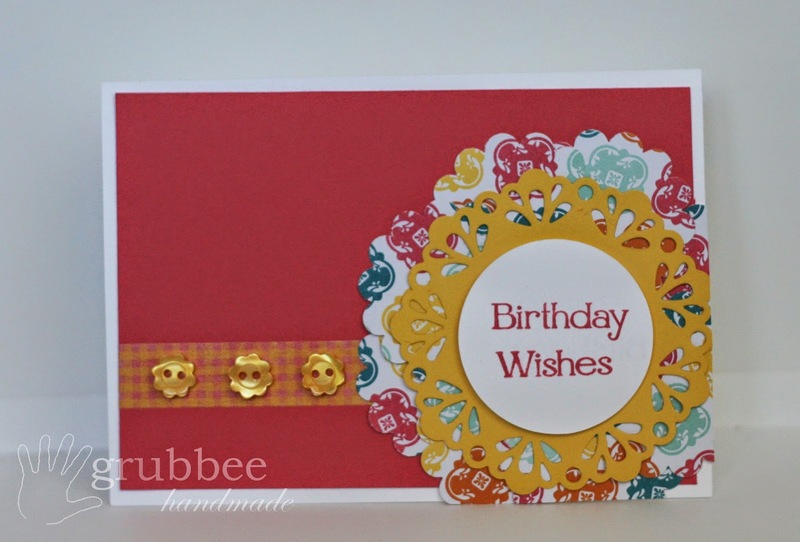 The Birthday Wishes sentiment is from the Four You stamp set. It is stamped with Strawberry Slush classic ink onto Whisper White card stock and is punched out using the 1-3/4" circular punch. I attached this with a dimensional to give it some lift. Lastly I used 3 Daffodil Delight buttons. I would have loved to have used something in Island Indigo to match the DSP, but I didn't have anything, so Daffodil Delight it was.